Graziela Preiser re-vitalises her cult motifs for the 1,2,3 children's dishes. The 1,2,3 design was once on bed linen and sleepwear. 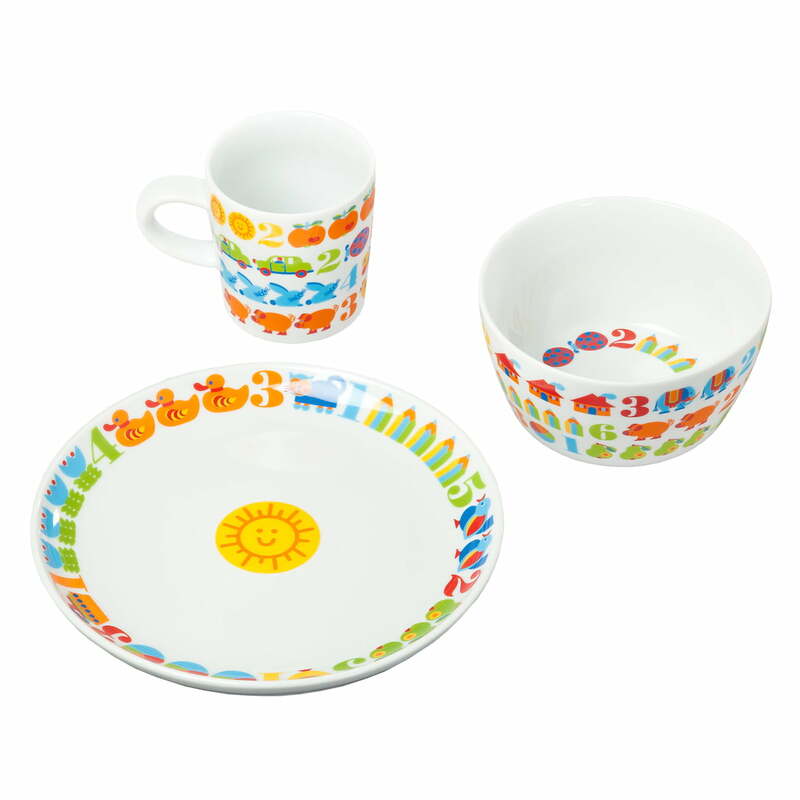 byGraziela presents a beautiful children's dish set again with the 1,2,3 motif, converting every meal into a happy experience. 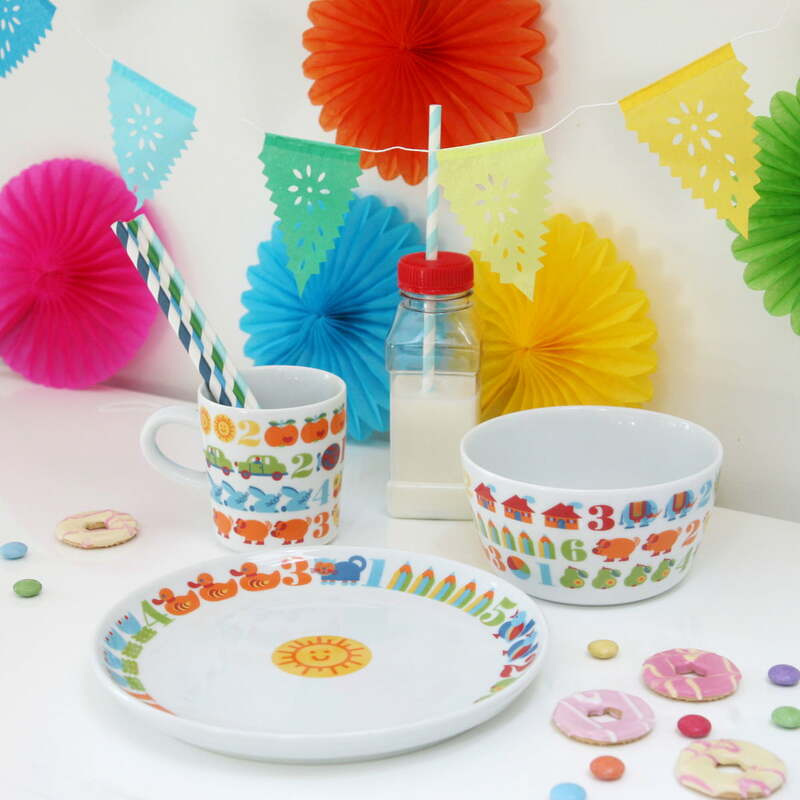 The 1,2,3 dish set consists of a children's plate, bowl and mug. It will surely not matter what there is to eat with so much colours for the small ones. It is a great gift idea for a christening, birth, or at Christmas because it comes beautifully packaged in a gift box. The dishes series from byGraziela is made of high quality porcelain in Germany by Kahla. All pieces are dishwasher and microwave safe. Details includes children's plate (Ø 21cm, H 2,5cm), bowl (Ø 13cm, H 7cm) and mug (Ø 8cm, H 8,5cm), dishwasher and microwave safe. Delivery in gift box. Made in Germany by Kahla!